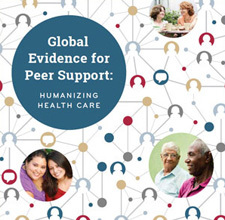 A carefully designed and executed evaluation can help strengthen and sustain your peer support program. Depending on your goals and objectives, various methodologies can help you troubleshoot daily challenges, understand how peer support is being delivered, and also learn and demonstrate program impact. This part walks you through the process of planning a program evaluation, and provides example models and measures. In addition to common approaches, this part also introduces the concept of rapid cycle improvement, which allows a program manager to focus on short-term changes in order to continuously improve the program. Notably, because of the important role of economic evaluation in securing buy-in and long-term investment, there is a special section on cost-effectiveness analysis and developing a business case.